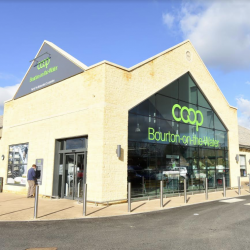 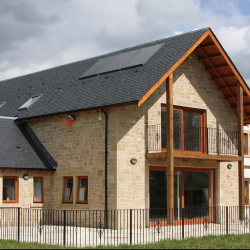 An ultra-green mineral tile and a bespoke version of a metal tile from Armstrong Ceilings feature on the farm building, turned HQ of a wind farm developer. 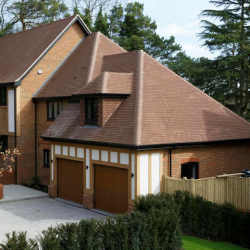 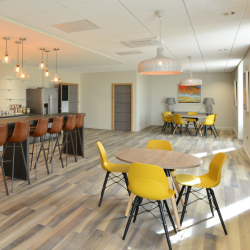 Schlüter-Systems is giving customers the opportunity to tour its state-of-the-art UK headquarters via a new virtual reality initiative. 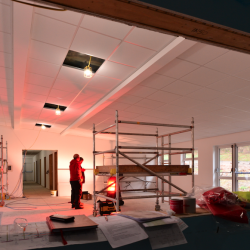 Armstrong Ceiling Solutions’ new 100% recyclable Dune eVo tile is helping to offer a new beginning for scouts in Derbyshire. 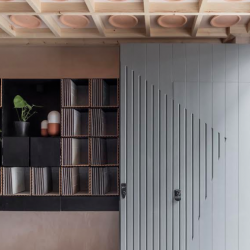 Schluter-Systems will be working alongside a trio of its partners at Clerkenwell Design Week 2018, all of which are big players in the design and sourcing of high-end tile and stone. 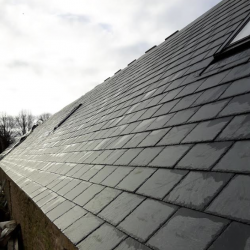 CUPA PIZARRAS’ Heavy 3 roofing slate was recently chosen to cover a small hamlet of low energy houses built near Strathaven, South Lanarkshire.